All of the below information comes directly from job reviews written by Shoosmiths employees based on 116 reviews. Shoosmiths’ focus on people, relationships and results has defined its achievements for more than 160 years. Our client list speaks volumes for the quality of our lawyers and the experience they provide. From Hewlett-Packard to Krispy Kreme and property developers to some of the UK’s largest banks, we work with a growing number of the FTSE 250 and some of the world’s most exciting and ambitious growth businesses. There’s no secret to our growth over recent years to become a £128m+ turnover firm. Clients love working with Shoosmiths people because of the way we work and the results we consistently deliver for them. You don’t have to take our word for it, many of our clients are happy to talk on our behalf – we’ve never been ones for banging our own drum. We work to a simple formula: a can do ethos, values that are much more than words on paper, and the agility to find the best way for each individual client – whether that’s ways of working, pricing structures or just innovative ideas that make a real commercial difference. We are a full service firm offering a variety of services in commercial, real estate, corporate and finance. We recruit bright graduates, training them to become innovative solicitors who can provide a quality service to our clients. Winners of the ‘Best Social Media’ award at the AllAboutLaw Awards 2017. “Top Company for Graduates to work for” by TheJobCrowd.com 2017. Ranked 23rd on the RateMyPlacementTop 100 Undergraduate Employers table 2017-2018. Winners of the 2017 Legal Week “Best Employer” award for the 13th consecutive year. Everyone in the team and the jobs assigned. I get a great quality and variety of work in my current team. One day I am acting for an individual selling their owner-managed business and the next I am acting for a large corporate in an acquisition. Building and maintaining relationships with clients either over emails/telephone or at networking events. Work with great people, working hours aren't too extreme. The level of responsibility I have and the matters I am able to assist on. I run some of my own files and help out on the larger ones. This gives me exposure and experience in a really wide range of skills. Being given responsibilities for my own files and being trusted to work on matters on my own. The people. I work with lawyers who are top of their field and as such, always receive a high quality of work. I am supported at all levels - the offices are all open plan and the partners work alongside legal advisors. I have sat next to the Practice Group Head since I joined the firm as a paralegal! The high quality of work and clients. Mostly interesting, good quality work with high levels of responsibility. There are too many 'best' things to name! The secondment opportunities, the broad range of departments and practice areas in which you can experience during your two year training contract, the people, the clients and the work. Great colleagues, good work/life balance, high-quality work for great clients, fruit in the office. Being able to find solutions to problems that clients have. The people at Shoosmiths are the highlight for me. They make the difference between feeling totally overwhelmed and feeling supported and encouraged. My team are very nice and we work well together. Always easy to ask for help if you're not sure on anything. The best part of the internal placement was the work being given to me and the welcome feel from the real estate team. Large, complex variety of work. Being able to interact with a great team and understand the basics of the legal system. Make sure you put information that makes you stand out and show you have experience. Research the firm, attend the Insight Evening and go to any events that Shoosmiths are running or attending. Make sure they know who you are before the application is submitted. Be yourself, make sure you allow your personality to shine. Make sure you know why Shoosmiths! Really think about the experiences you have had both in and out of the work place. Lots of applicants write about the DofE award - try to think outside of the box and use ALL of your experiences. You can so much more than you think from part-time jobs and volunteering opportunities. Be honest. If you don't know the answer to a question take a second to think about why you might be being asked it - can you think of a way that you could work out the answer? Keep an eye out in the media for interesting/controversial news articles. Research both sides of the argument and try to present your own well reasoned opinion. I would say to do first drafts of your answers in a Word document, then the next day read over them and remove any superfluous wording or anything that makes it a bit long-winded. Those that are reading through applications will appreciate a concise answer! Be yourself. Don't make careless mistakes. Try to reflect the firm's values. Sell yourself - your work, experience, qualifications. Make sure it comes across well on paper and don't feel like you are bragging or being big headed - if you have achievements make sure to show them. Research the firm's values and culture, they want someone who has similar values and ideas. Research the type of work and clients the firm has and how you personally can make a difference. Make sure you can discuss and follow up on answers on your application form. Be honest and confident in your abilities. You will be selected for interview from your application so don't hold back in showcasing your achievements, skills, and anything else that an employer would be looking for but will also set you apart from other candidates. Prepare well. The firm will likely ask you about its values, how you would be able to work within them, how your experience can already demonstrate you meet these values. Be honest and up front, interviewers will very quickly see through any "fakeness" and they want to see the real you to make sure you are right for the role/firm. Thoroughly research the firm before you begin the application form. By attending insight evenings and talking to the Graduate Recruitment team at law fairs, you are getting to know information about the firm that isn't available online. It's also a great way of getting your name known around the office/firm! Preparation is key. Research the firm - the people, the practice groups, the office locations - the more you know about the firm the more relaxed you will feel on the day and the easier you will find it to ask questions. Equally, keep an eye on news stories that appear in the press and formulate an opinion on these - they don't need to be specifically related to the law or legal developments. I was asked "who should be responsible for deciding when to turn off a child's life support machine - the parent or the doctor?" in relation to a high profile case that was in the press at the time. Look at the firms graduate recruitment bogs/articles to see what the firm is looking for in a candidate. Take your time, attention to detail is key. This is a firm that values candidates who are able to be themselves and who can present themselves well. Use uncommon examples. You need to make yourself stand out against a minimum of 2000 applications. Be yourself and let your personality shine through. All interviews are blind i.e. the interviewer knows nothing but the candidates name prior to the interview beginning. Make sure to tailor your application to the firm and its values. Ensure your personality and personal experiences come across. Give clear, structured answers and ensure to say what skills each experience taught you. Plan your answers in advance of the deadline so you can actually think about what the question is asking you. Often the answers miss a key element of the question. Use examples and apply them to the question and the role of a job. Be yourself, it's hard to keep up an act. Take advantage of mock interviews at careers services. Use the space you are given on the application form. I definitely under-sold myself by not using the space given to show the recruitment team who I am. Be yourself! It sounds like recruitment speak but at Shoosmiths the team really want to see who you are, not a corporate front. Really focus in on the organization's values and tie all of your experience and skills into them. I can only talk from my experience, which was that the interview became more informal as it went on and became much more of a two-way conversation than a traditional question and answer format. Shoosmiths likes people with character and personality - make sure you show them yours! Ensure your answers fit in with the values of the company. Do your research about the firm. Have an interesting fact about you that will make you be remembered. See yourself as an asset to the company. Think about how much you can bring to the firm to make it better. Be yourself, always look to be conscientious and don't be afraid to take on responsibility. Be yourself, find good examples of applying useful scenarios from your experience to the competency based questions. - Demonstrate that you understand how businesses work. - Demonstrate hobbies and interests that you do in your free time. Attend Insight Evenings and take your time over applications. Gain as much experience as possible - legal or otherwise. Highlight how the skills you have gained relate to a career in law. Always answer honestly and try to engage with any application questions with relevant examples. Do not just copy and paste generic answers from application to application - firms can easily see this. Always be yourself and make sure you engage with assessment day tasks and chat with as many of the staff members present (from trainees to partners). Be inquisitive, friendly and tailor your questions/answers to the firm's values and the tasks you have to complete. Prepare well and do your research into the firm. Try and anticipate questions about commercial awareness or the firm itself. Always back up answers with relevant experience and explain how the skills translate well to a job in law. Put as much as you can into the role and you will learn a lot more. Be yourself and don't try and script your answers beforehand. Take your time on the applications, make yourself stand out and avoid any "generic" answers to questions. Be yourself, they will see it if you are being fake. Research the firm and commercial awareness. Be truthful to yourself and others. Apply for a firm that is good for gut instinct. Research thoroughly and mirror the interviewers. Make sure you get who you are across in the application process. Shoosmiths embraces diversity and so don't be afraid to be yourself and really make that apparent on your application. Make sure you prepare and are able to show how you can demonstrate you are able to work within Shoosmith's values. As with the application be yourself, those interviewing you will be able to see if you are not being yourself and don't be afraid to ask questions about the firm. Make sure you do extensive research on the organisation before you apply and make sure it fits with your values and you are passionate about the role as this will show in the application. Be yourself - Shoosmiths likes candidates who showcase their true personality. The firm are really keen to hire people that will match the values that the firm holds. I would ensure that I research the firm and its clients thoroughly. I had to attend an assessment centre and complete a group exercise, written exercise, presentation and interview. I would make sure you prepare yourself for every part of the assessment centre and not just expect to get through on the back of the areas you excel in. Understand the type of firm that you would like to work at and tailor your application accordingly. Make sure that you speak up during group exercises, and for the written exercise it is crucial that your answer is clearly structured and does not contain any spelling/grammar errors. Provide examples of how you can provide value to the role. Provide examples that indicate why you want to work in this area. Provide examples of why you would fit well in the team and the office environment. Be yourself and don't be afraid to be different. Make sure that the firm is the right fit for you. Not your typical stuffy lawyers at all. More interested in getting to know the person behind the application, just be yourself! Really research the firm and its culture and be prepared to work hard. Research the firm and understand what it stands for. Potentially research the department you are applying for too - such as key partners or senior members of staff in that area. Strong academics are of course necessary, but to show general all-roundness is crucial. Shoosmiths are a vibrant and exciting firm, you should be too! Be confident, be yourself and relax. That's Shoosmiths. Be yourself and let your personality come through in your application form and then on the assessment day. 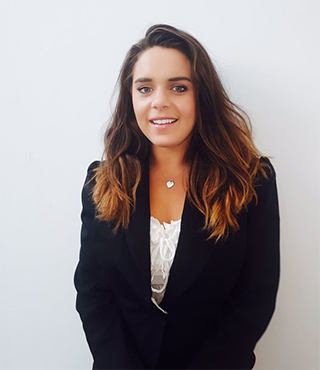 Be confident in your abilities, when I was hired I was just completing my law degree part time and the firm still hired me and I have now completed my law degree and I am completing my masters degree. Research the core values, understand what they mean and show how you can meet them. Be yourself and enjoy meeting people. Competency based, but also looking for personality. Shoosmiths are not only interesed in your academic achievements and work experience, they want to see what kind of person you are. They want to know about all types of experience. They want to feel like they have learnt something about you from your application. What qualities do you have that would suit working at Shoosmiths? Use STAR when answering competency based questions - Situation, Task, Action, Result. Constantly refer back to the values of Shoosmiths. Everyone should live, sleep and breathe these values so management love to see them adapted into the applications. Always be honest! I had no experience when I was interviewed in Conveyancing and my boss hired me because he liked the fact that I was honest about my lack of experience. He said he had spent ages listening to candidates attempt to sound like they knew what they were talking about but really didn't and that put him off. Make sure that you reference the 'values' which underpin the firms culture and can show that you've done a bit of research about the strategy for both the firm as a whole and the department you're applying to. Most questions will be competency based so plan ahead and think about past situations where you have been able to demonstrate the skills and values the firm is looking for. Be yourself. There's nothing worse than trying to act like someone else. “There is nothing noble in being superior to your fellow man; true nobility is being superior to your former self.” - Ernest Hemingway. You need to demonstrate that you embody the firm's values as much as possible. There is a lot of information about them online, do your research. It's the main thing that the firm looks for. Think outside of the box, consider the firm's values and apply them to situations you have been in during the interview. Show your personality as well as your academic strengths. Try and add something to make yourself stand out as an indivual. Research the firm thoroughly to get an idea of what makes us tick, our values are an extremely important part of the firms make up. Be yourself, Shoosmiths are big on personalities. A topical question is always asked. Be commercially aware. Make sure your answers are well structured and keep them interesting! In my experience it is best to just be yourself - that goes for most situations, but it is the best way of figuring out if the firm is right for you and if you are right for the firm. Do your research on the firm. Make sure that you understand the firm's core values and goals. Try and tailor your CV and application to what the firm is looking for and not just as a general application to any firm. Be yourself. Be confident and personable. The firm will be looking for someone who is professional yet approachable who they can trust to put in front of a client from the outset. Make sure you tailor your application to the firm and reflect their values. Think about how your experience shows that you are a cultural fit for the firm and showcase that. Show you are willing to learn and develop and passionate about good client service. Be confident and able to speak about your experience and how that relates to the role. Understand the firm i.e. key clients, areas of practice, brand values. Have answers prepared for the common competency questions with examples from your own life. Make sure that you truly fit the firm's culture and values. Shoosmiths really does live the values it promotes, and employs people who share those values. Build a rapport with your interviewer. It is important for them to know that you will be able to get on with a range of people, intergrating yourself into their business seamlessly and confidently. Be yourself. Research the firm and demonstrate why you would be a good fit. Think aobut whether the Shoosmiths culture fits with your personality. If so, then try to get across your best self. Demonstrate why you want to work at Shoosmiths; demonstrate why you'd personally be a great fit for the firm. Be as relaxed as possible, but still ensure you are professional and composed. Try to provide answers that will stand out i.e. create a story in the interviewer's mind. Mirror the interviewer's behaviour so that you can demonstrate you are right for the firm and the team. Know as much as you can about the values of the firm as it is integral to everyone there. Be friendly and be prepared to work hard. Shoosmiths as a firm are very friendly and outgoing and attract personalities as a result but as with any large firm, there are occasions when you really need to knuckle down. Just be yourself. The firm are looking for friendly outgoing people who have strong commercial skills. Don't just show off your academics (although these are important!) Make sure you show how you are well-rounded and a team player. Be confident and prepare well. Make sure you swat up on the firms values! It's a really important part of day to day life at the firm and you need to think about how your experience demonstrates that you can live the Shoosmiths values - Talking business sense, being within reach and responsive, pulling together and taking initiative. Generally competency based interview. Try and show your personality! Also give examples of good client service and commerciality. Litigation background would be required, preferably obtained or studying LPC. Be yourself. Shoosmiths like character. relax and enjoy it and let your personality shine through. The firm really invests a lot in its culture and values so make sure you know them inside out and also think about how they could apply to you and your skills. Shoosmiths is an ambitious firm that is always striving to be the best and innovative so make sure you show that you have those qualities as well. I was asked general competency questions. I was also asked questions that asked me to demonstrate my understanding of the legal market and how law firms work as a business. They don't just want generic answers be specific and give your opinion. Think outside the box, demonstrate the firm's key qualities and ultimately, just be yourself. Speak clearly and concisely and have plenty of examples demonstrating competencies. Tailor it to the firm you are applying for, don't just write one generic answer for all firms. Try to pick something about the firm that is different to other firms. Don't just concentrate on academics. Focus on your own experiences. Show that you can provide something different. Everyone is expected to have good academic grades and therefore Shoosmiths looks for trainees with a personality. Research Shoosmiths, its values and what it stands for. Be natural - if Shoosmiths like you as a person and feel that you will fit in with their culture/values - the hard work is already done! Be yourself. Shoosmiths look for a variety of people who are well rounded and personable as well as being academically bright. There is a focus on competency based questioned so try and think of a range of situations which demonstrate your abilities so you have a range to choose from come interview time. There is no substitute to researching the firm. If you don't understand what makes it tick and how it views itself, you aren't going to portray an understanding of the firm in your application. You also need to display your personality in your application. If you've done something interesting in a gap year, tell us! Fail to prepare, prepare to fail... It's as simple as that. Be friendly, be yourself, but most importantly, be prepared. Try to think outside the box of university/studies when answering experience-related questions on the application form. 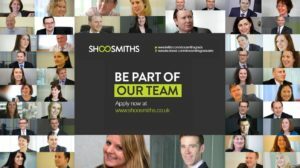 Shoosmiths is quite a unique firm in terms of its strategy, culture, branding and position in the market - make sure you reflect this in your answers, and show why you fit in perfectly. I had a phone interview including questions about the role, the firm, and my background and motivation. It is a good idea to think of all aspects of the role you are applying for and be prepared to answer questions on it. Let your personality come across by using examples of your skill-set from experiences outside of the workplace. A lot of skills-based questions - let your personality come across by using examples of your skill-set from experiences outside of the workplace. Take time over your application form. If possible apply for a summer vacation scheme; and be confident and professional on an assessment day. Think about some interesting experiences that make you unique and stand out from the other candidates. Make sure to ask questions and get involved with every activity. Do your research on the firm and its values. Be yourself, not who you think we want to see. BUT remember you are at a professional interview so act accordingly! My advice would be to let your personality shine through in your application. With so many applications being received it can be really difficult to stand out. Try to think of unusual examples to the standard questions which really let the reader get a sense of who you are. Again try to let your personality shine through. Getting a training contract is not just about who has the best grades or the most experience - it is about being the right fit for a firm. You want to show the interviewer that you are the kind of person that he or she would want to work with. Research the firm and get to know people from the firm from networking events at any given opportunity. Shoosmiths seem to attend many student networking events, such as law fairs, networking evenings and they even hosted a pub quiz with my university. Make sure the firms values and culture fits with your own. They appear to be a very modern and forward thinking firm, placing huge importance on relationships, both between themselves and clients, but also between employees. They come across as relaxed, whist still placing great emphasis on high quality work and advice. So the best advice I could give is to make sure that you feel you would fit within the culture of the firm whilst being yourself. Just be yourself and enjoy the experience. Shoosmiths takes on applicants from both law degrees and non-law degrees. The firm really does seem to stand by its core values, so if it is the right firm for you, this should be fairly obvious. Its great. It attracts young and fun individulas who want to work hard but also have a life outside the office. So try to express yourself in the application. Be yourself. The interview is not hugely intimidating as they simply want to get to know your personality to see if you would fit in. Shoosmiths looks for well-rounded individuals who are team players. Do not focus solely on your academic background. Show an eagerness to work for Shoosmiths, not just any law firm. Be honest in answers and show interests outside of law. Understand the firms values prior to applying. Have numerous examples from as many different places as possible. Be yourself. Shoosmiths look for individuals with something a little bit different. Demonstrate a broad range of experiences not just university and vacation schemes. Be yourself and show off your personality, its not just about exam results. Thoroughly research the firm and why you want to work here. Try to show your personality through the interview process. The interview is very heavily competency focussed. Friendly staff, interesting tasks, good support. Lack of integration for vacation placement students. The culture of the firm is great - everyone I have ever dealt with has been friendly, helpful and supportive. The CEO is female and was also a trainee at the firm. The pay isn't great but each employee gets an extra day off for their birthday and we can reward each other with vouchers. Salary isn't the best compared with the market. The hours and the demands sometimes. The culture - you have to work really hard but they also don't want you regularly doing crazy hours so they understand balance is important. You are trusted to work on your own files. They do not compete with big firms that offer good bonus schemes. They recognise that the best employees are not necessarily those who have a 100% record in A-levels/university etc and that there are other key skills and experience that people can bring to the firm. Nowadays not everyone stays in the same career their whole life and the firm recognises the benefits of people having careers before law and what that experience can bring to the firm. It cannot offer international opportunities and the other firms they want to compete with to be the best offer bonus and other benefit opportunities. 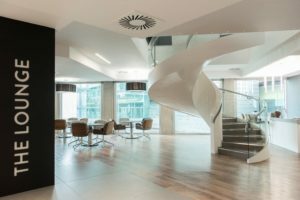 The firm has an excellent reputation and the office locations are well positioned around the country. Each practice group has an annual away day where people from all offices can get together - this supports the collaborative working structure that the firm promotes. The remuneration and benefits package is lower than the market average. The firm doesn't offer bonuses and private healthcare (whilst available) isn't included as standard. 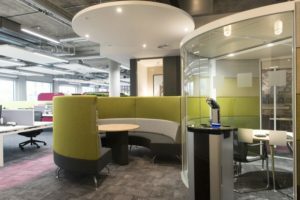 The business park location of the Solent office, whilst convenient for those who live nearby, doesn't allow for much social interaction outside of working hours as most people commute by car. 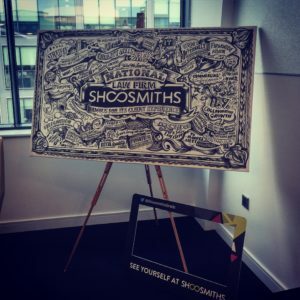 The ambition of Shoosmiths as a brand and firm. It really cares about its clients and its staff. Friendly people, good quality work. Pay after qualification is not great. The firm is losing its focus on work-life balance. Appreciates that you have a life outside of work - not always the case in this industry! Fantastic colleagues, high quality work for great clients, fruit in the office. Traffic getting to the Solent office. Lower pay compared to other firms. Great supervision and a collaborative company to work for. You are all in it together and you don't feel as though you are drowning. There is a lot of support for juniors too. Lack of personal assistants for junior members of the team. The working culture created by the values of the firm. Flexibility - as long as you make the time up and get the work done. Giving you a day off for your birthday and vouchers. Extra curricular activities that have to do around the day job. Good opportunities for various levels of tasks. Interesting work and good levels of responsibility. The training quality and atmosphere. The salary - which is actually still competitive in most areas. The people and the training provided. That it actively welcomes diversity, people from different backgrounds, different studying routes etc. Don't seem to want to increase and invest in more trainees to match the fact they want to compete against the biggest law firms in England and Wales. The fact that the firm welcome people from all backgrounds and studying routes. Some firms only want to take those with top degrees from red brick universities but Shoosmiths appreciate that there are other things that make good lawyers and other skills that could be brought to the table. There is a good atmosphere in the office. limited chances for international travel. Lack of transparency from upper management at times.